Congratulations on gaining your HR Licence. What a wounderful acheivement. Great work Brendon another successful student. NCHVDT is happy to tell you about our parternship with ballina removals. Training drivers the friendly, professional way. 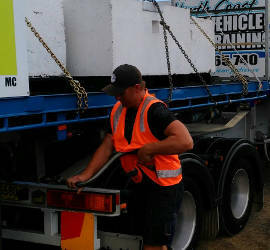 North Coast Heavy Vehicle Driver Training is a local business servicing all areas from Grafton to Tweed on the East Coast of NSW, Australia. We offer a personalised experience because we understand every student is different. 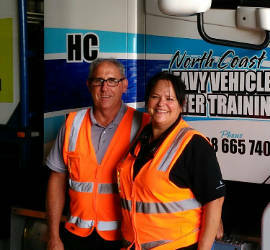 North Coast Heavy Vehicle Driver Training is proud of the high success rates we boast with past pupils who have sat their driving test. Our driving instructors are understanding, patient and highly experienced. No matter what your background or level of familiarity with driving, we can take you to the next stage. Servicing Lismore, Grafton, Casino, Ballina, Byron Bay, Murwillumbah & Tweed Areas. In NSW drivers of any public passenger vehicle must hold a NSW “Driver Authority for drivers of public passenger”. 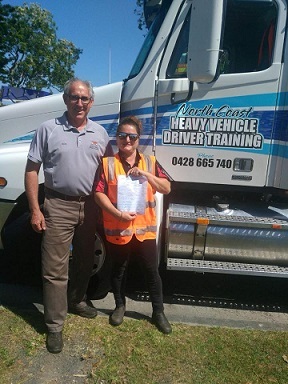 To obtain this drivers are required to undergo a training course and receive an “Evidence of Training Certificate”. 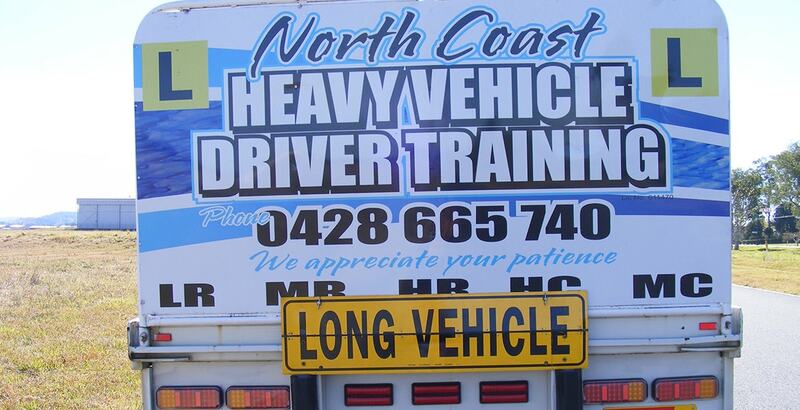 North Coast Heavy Vehicle Driver Training can teach you how to systematically and efficiently control all vehicle functions, monitor traffic and road conditions, manage vehicle condition and performance, and effectively manage hazardous situations. A multi-combination (MC) licence is required to drive any B-double or road train. 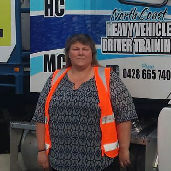 North Coast Heavy Vehicle Driver training can teach you the skills required to operate the biggest vehicles in the industry. 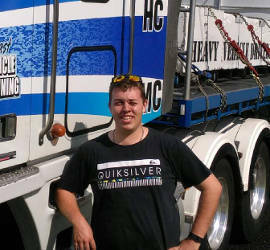 My journey to becoming a truckie started when I booked my driving lessons with Allan at NCHVDT in Lismore. 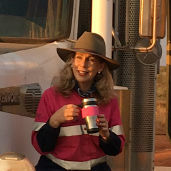 Now a “seasoned” truckie with over 6000 hours experience driving road trains in WA’s remote Pilbara, I know from experience how important it is – particularly for us gals - to find a driving instructor who makes us feel comfortable asking ALL the questions we have! To have an instructor take this process one step further by DEMONSTRATING my questions was absolute gold as I like to see how things work - rather than just listen to theory. On that basis alone Allan and NCHVDT tick ALL the boxes. I never liked trucks growing up and never thought I would ever be driving one. I was not confident I could do it. But Allan's calm, cool, positive and reassuring attitude towards training me kept me moving forward. on my first day of training, if I could get it wrong I did, but Allan's calm approach talked me through until I had it all under control and passed my FAC. Sorry Allan, for giving 5th gear a hard time. I'm sure I can do it all safely now, only because of your approach to teaching me.